We’re talking about Netflix’s most successful show, a thrilling drama in which Reiser stars as Dr. Sam Owens—a Department of Energy executive and current head of Hawkins Laboratory. Reiser has spent four decades charming audiences in projects like Mad About You, Aliens, and, most recently, Hulu’s periodic comedy There’s Johnny. But showing up on the second season of an established hit like Stranger Things—one famous for the close bond between cast members—had to be intimidating, even for such a seasoned actor. 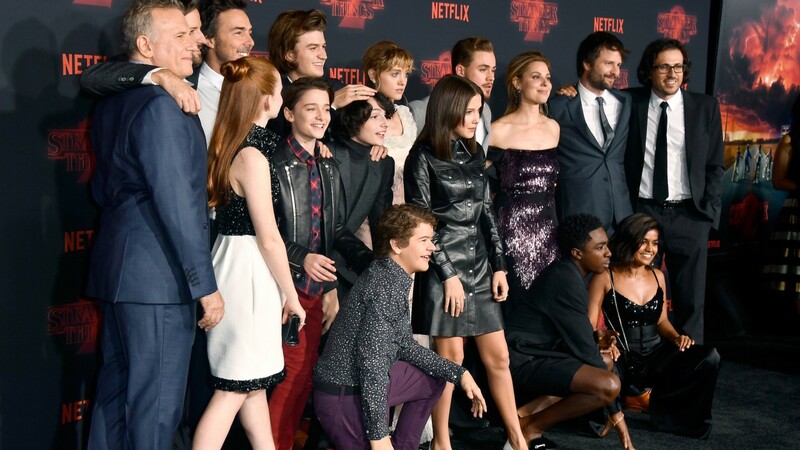 Reiser loved working with the talented young cast—“The kids have their own vibe, and they’re having a ball”—but it’s the twin, 33-year-old Duffer Brothers that he couldn’t stop gushing about. Despite that clear vision, nobody—not even the writers or actors—knew exactly what would happen when cast and crew met in Atlanta to film the second season. Perhaps the most surprising deviation from the original story line? Now to the question we know you’re all dying to ask: What’s the deal with season three? Since Reiser was asked to star in season two less than a week after the first series premiered, it’s got to be in the works? RIGHT?!?! ?